Pupunya is a remote Aboriginal community located around 300 kilometers north-west of Alice Springs on the fringes of the Western Desert of the Northern Territory. The community is most famous for being the likely birthplace of the contemporary Aboriginal art movement. Like all Indigenous communities it has its own set of social challenges but the rise of petrol sniffing amongst its youth late last century has been one of the most problematic. Papunya youth were engaged in petrol sniffing and other substance abuse instead of attending school during the 1990s and early 2000s, that is, the demographic now aged 15 – 30 years. The Central Australian Youth Link-Up Service (CAYLUS) is a program that was established in 2002 within Tangentyere (pronounced Tung-en-gera) Council’s Family and Youth Services Division in Alice Springs. CAYLUS’ mission is to support community initiatives that improve quality of life and address substance misuse affecting young people. In enabling youth to reconnect with society, their intention is to help empower them to build a better future for themselves. CAYLUS started a Community Computer Room in Papunya in March 2009 with the informal support of the local government to meet a community need for an accessible adult education facility and an alternative to substance abuse. CAYLUS has continued to manage this resource under the same mandate to date. The Computer Room project was specifically aimed at the generation of youth who had been engaged in petrol sniffing and other substance abuse. The Papunya Community Computer Room provides community members of all ages with the use of ten donated computers, a printer/scanner and laminator. These resources are supplemented with limited free access to the internet. The room is currently managed by volunteers, a dedicated on-site manager and a local Indigenous employee. 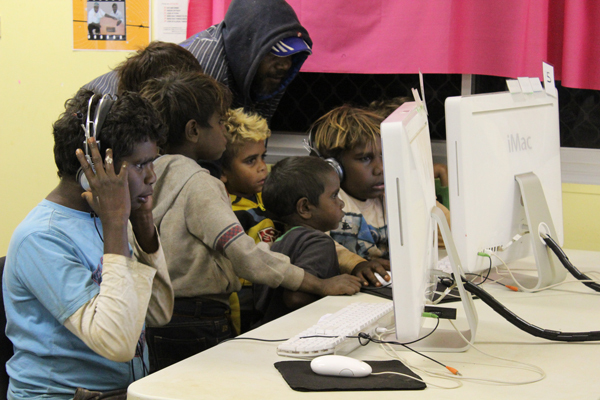 The computer room significantly expands the opportunities and everyday experiences of local indigenous people. The absence of a mobile phone network, library, newspapers and magazines, post office to buy stamps or envelopes and with variable levels of literacy and English language proficiency, people do not lead a text-based life. 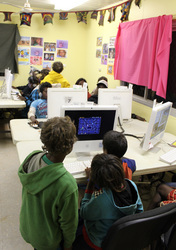 Besides an IT and wider social education, the busy Computer Room provides a world of text based activities to exercise often dormant literacy and numeracy skills across all age groups. The success of the computer room was recently featured on the ABC PM program. The internet is also taking up an increasingly significant proportion of local interest. 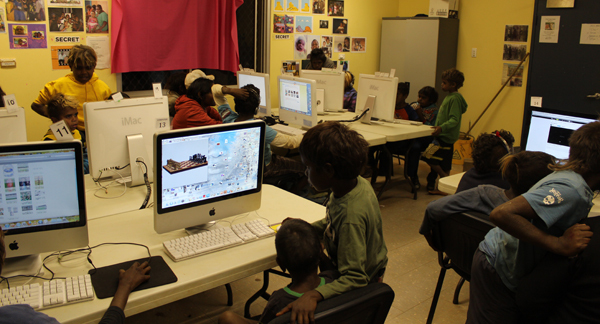 The access provided by the Computer Room enables people to organise their lives through web banking, Centrelink, booking travel arrangements and the like. 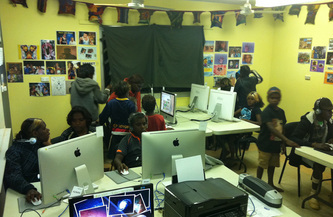 Additionally people stay in touch with students at boarding schools, family and friends and businesses in Alice Springs. Apart from CAYLUS there are other organisations that are chipping in to keep this centre successful. The Dot Com Mob are helping to fund the internet access costs and the wages of the local employees. Dot Com Mob raised money last year through the Yoga Aid challenge. St Kilda Youth Service has recently visited Pupunya to install some brand new Macs. If you would like to support this computer room we are always looking for funds to employee local staff. Please donate to the Dot Com Mob.